When you are looking for a veterinary care clinic you should be able to count on superior care and excellent service. We at Kaibab Animal Hospital in Scottsdale, Arizona have assembled an expert team of veterinary professionals to bring you the best possible healthcare for your pet. We have a state of the art veterinary facility which is clean, comfortable, and efficient. Call (480) 947-8113 to schedule an appointment and we will find a time that is convenient for you. We recommend bringing your pet in every 6 months for a semi-annual wellness exam. 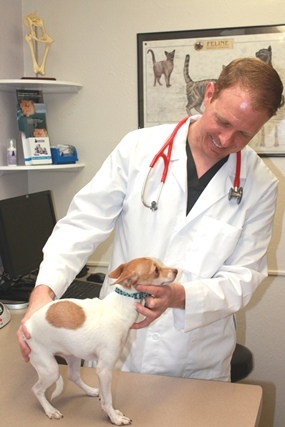 Dr. Darren Wright will check the health of your pet from head to tail, and you will be very happy you came to Kaibab Animal Hospital for service. Your pet’s semi annual wellness exams will include a complete physical to include a thorough examination of the eyes, ears, teeth, heart, lungs, abdomen, body condition and hair coat. Bring in any medical history you have of your pet when you come to our vet clinic. You can also have your previous veterinarian email records to us at [email protected] prior to your appointment.